Dumbbell Clean and Jerk is an explosive exercise that develops power while working the hamstrings, gluteus muscles, hips, lower back, rear shoulders, traps, upper back and forearms. Dumbbell Clean and Jerk activates the core muscles to help stabilise the upper body and support the lower back. 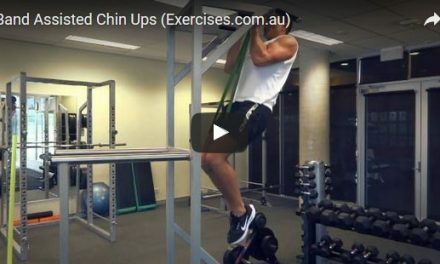 This exercise improves your level of balance, conditioning, coordination and stability. Assume a hip width stance and place a dumbbell along the outside of both feet which are in a neutral position. Bend at the hips then the knees and grab the dumbbell with each hand. Your back should be at a 45 degree angle; hips lower than your shoulders but higher than the knees. Your knees should be in line with your feet. Shoulders are in line with the elbows, dumbbell and wrists. This is the start position. Push your heels through the floor; extend at the knees then drive your hips forward. Explode up and swing the dumbbells over your shoulders. Catch the weight by bending your knees and moving your feet to shoulder width position as the dumbbells go on your shoulders. Your hips are back and knees slightly forward. At this position, your elbows should be higher or in line with your shoulders and arms parallel to the floor. One end of the dumbbell must on top of your shoulder while the other end is in line with your elbow. Straighten your legs and bring your feet back to hip width position. Dip by bending the knees and dropping the hips then drive through the heels to press the dumbbells overhead. Dip your knees to catch the weight overhead. Push your head through your arms as you approach lock out. Lock your elbows with the dumbbells touching at the top. Straighten your legs and move them closer together for stability. Return the dumbbells to starting position. Repeat the exercise until you have completed your targeted number of reps. 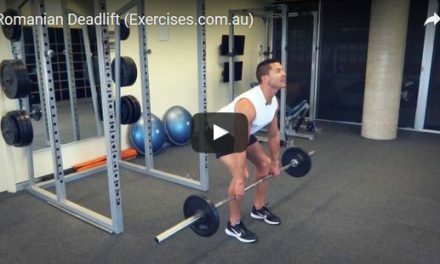 The most common mistake when performing Dumbbell Clean and Jerk is starting the exercise with a rounded back which could result in an injury. Using muscle strength instead of power and technique may cause injury to your elbows and shoulders. A third common fault is catching the weight or pressing it up with a stance that is too wide. This may throw you off balance and injure your knees.